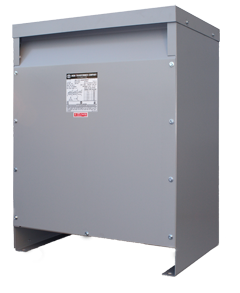 MGM general purpose dry type transformers are designed to meet NEMA ST-20 sound levels. Higher kV BIL, K-Factor or other special designs may require different case size. Temperature-rise test maybe required if to use smaller case. A general purpose (GP) unit that is bus ends goes into a substation case: consult MGM for case size.